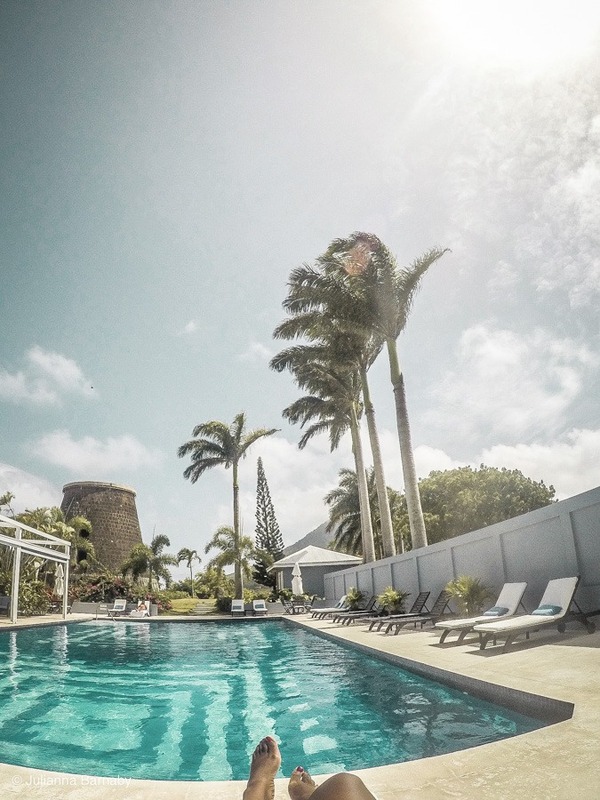 Things to do in Nevis: The Charming Caribbean Escape – The Discoveries Of. Low-key and laid back, Nevis is emerging as one of the Caribbean’s coolest destinations. Planning a trip to this gorgeous gem in the West Indies? 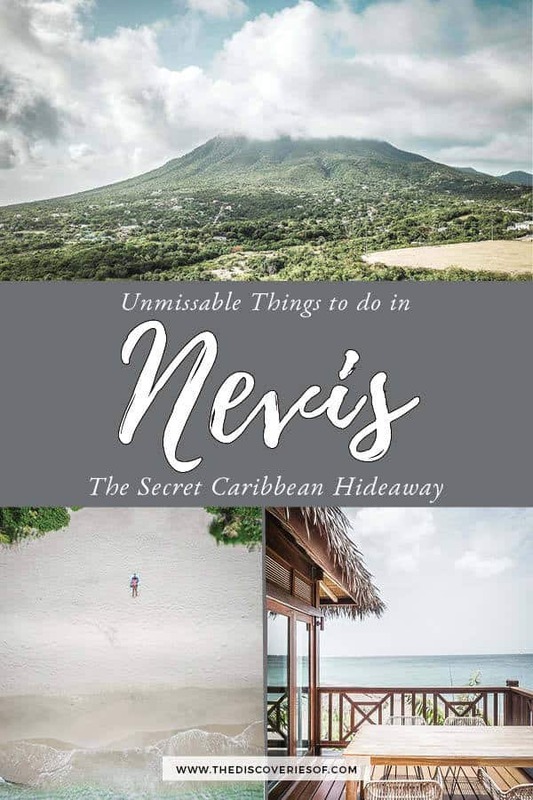 Resist the temptation to spend all your time on the beach and take the time to explore these fabulous things to do in Nevis. Nevis might be a small emerald dot in the Caribbean, but it packs a big punch. Still relatively under the radar, this island, a diminutive 36-square miles, is gaining increasing amounts of attention from travellers looking for an island escape with a lot of personality. From chilling out on glorious beaches, to scaling dormant volcanoes and gorging on the island’s delicious cuisine, here are 13 unmissable things to do in Nevis for your next trip. PS. 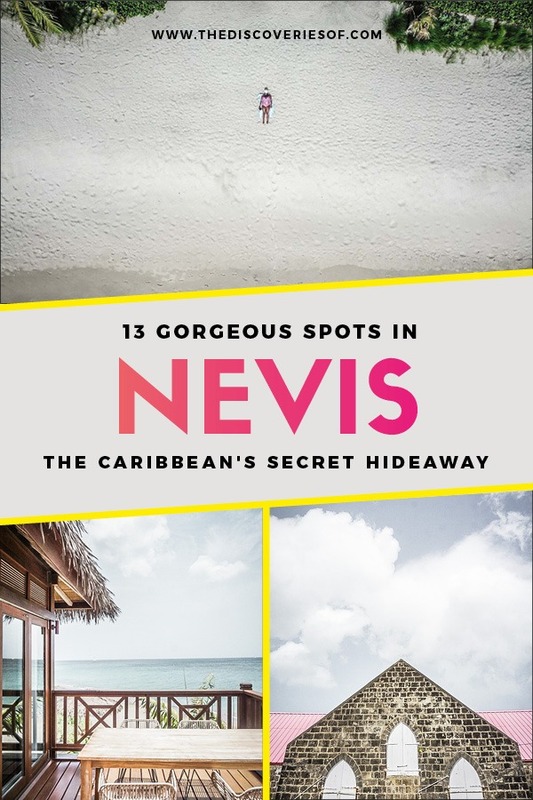 Don’t forget to check out my other Nevis travel guides. How Big is Nevis Island? 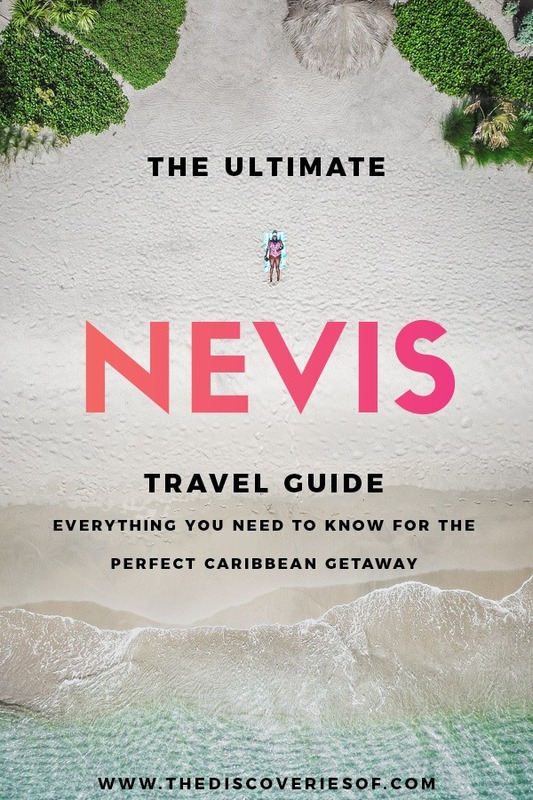 How Do I Travel to Nevis? When’s the Best Time to Travel to Nevis? Tempting as the beaches are, a visit to Charlestown is one of the best things to do in Nevis if you want to understand a little of the island’s history. This quiet town (population, 1,500) is one of the best-preserved in the Caribbean. It’s one of the few where you can still see buildings with wooden upper floors in the architectural style of the colonial period. Charlestown is also popping up on people’s radars as the birthplace of Alexander Hamilton (yes, THAT Hamilton). Visit the Museum of Nevis History, situated in the building in which Hamilton himself was born. Small as it is, the museum intertwines Hamilton’s own personal story with the history of colonialism on the island. 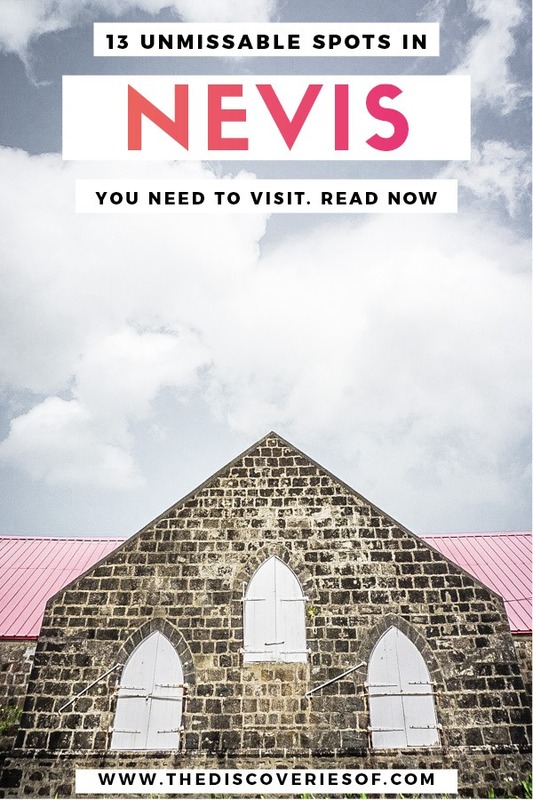 It was a fascinating glimpse into the background of one of America’s founding fathers, but also into the succession of changes and development that made Nevis into what it is today. You can’t miss Nevis Peak. 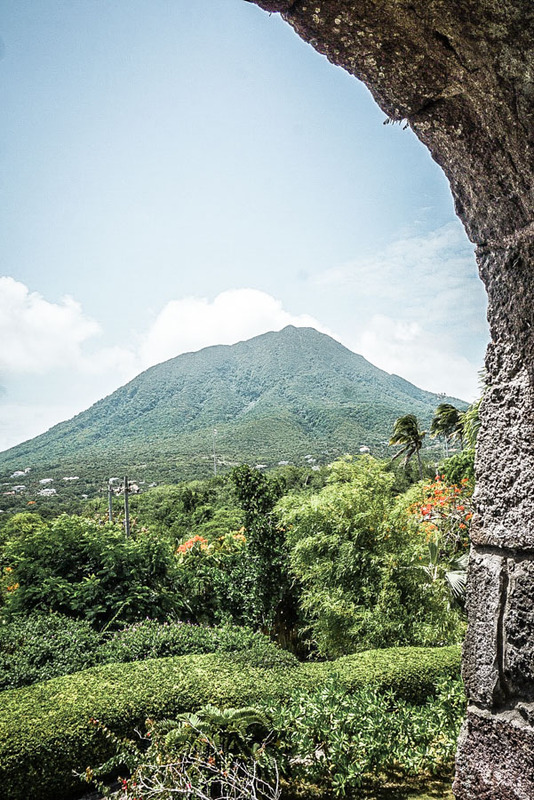 The inactive volcano that dominates the island’s interior peeks above the skyline wherever you are on the island and is one of Nevis’s biggest (literally) attractions. Look, I’m pretty gung ho about hiking. I’ve climbed a few mountains (slowly) and am pretty OK with a long day’s slog where the reward is a beautiful view… but I have to admit that I totally did away with any ideas that I had about climbing Nevis Peak once I heard people describe the hike. If the idea of scaling a volcano on your trip does not sound like an activity that will make the final cut, no fear. You can get gorgeous views of the peak from so many spots on the island – particularly at the Montpelier Plantation Inn and the Botanical Gardens nearby. Or if you fly your drone high enough. It’s basically the same thing right? Either way you cut it: here’s a fun little fact. Did you know that Nevis is called Nevis because when Christopher Columbus landed on the island he thought that the clouds surrounding the peak was snow (nieve in Spanish/ la neve in Italian)? The dude could navigate his way to the Americas but he couldn’t tell the difference between snow and cloud. Go figure. Nevis’s position as the “Queen of the Caribees” during the 17th and 18th century was largely driven by the abundance of sugar plantations that thrived on the island. At its peak, this island of 36 square miles, supported 99 sugar plantations. Many of those plantations fell into disuse or were destroyed, but some survive. It’s interesting to see the way that the plantations have been transformed and reused on the island. They take on so many different guises. Guests at the Golden Rock hotel can stay in the old sugar mill – transformed into a two-floored suite with views over the lush grounds. 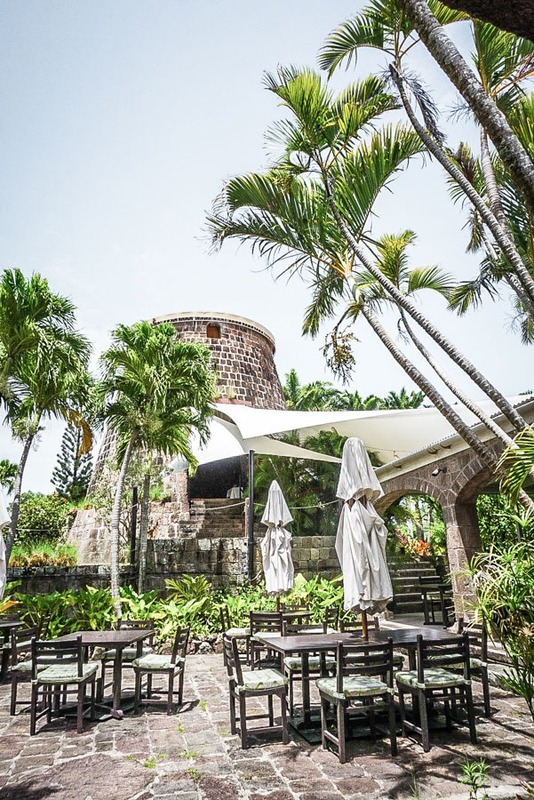 At Montpelier, the old mill has been turned into a private dining room, the windows perfectly framing a view of Nevis Peak. That’s not to say that all of the plantations have lost their original identity. A visit to New River Estate – the last sugar plantation on the island (it stopped operating in 1958), has been preserved as a living museum. 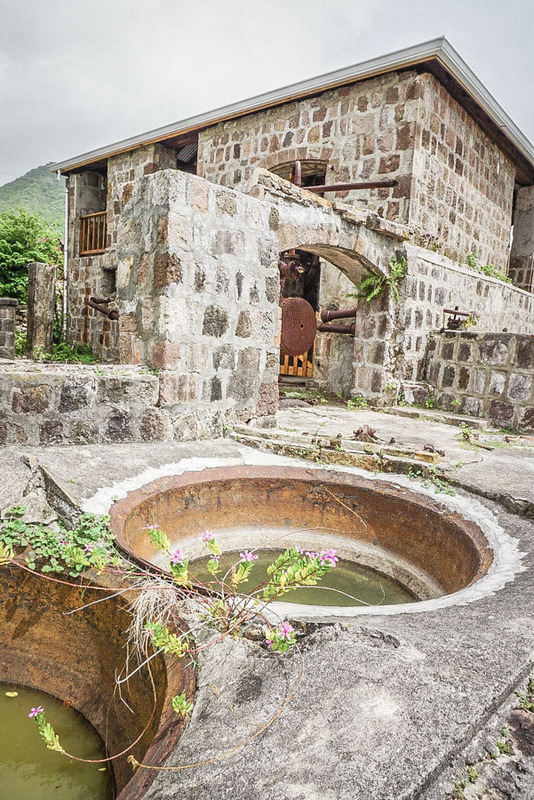 As you walk around the grounds, winding your way through the machinery such as cane mill, the boiling walls, the cooling trays (and a cheeky little rum still they recently discovered on the site too), you begin to understand how sugar, sweet but not sweet enough, played such an weighty role in Nevis. It can be tempting to only see the Caribbean as a winter sun destination. Do so and you’ll miss out on the cultural vibrancy of some of the region’s biggest events. 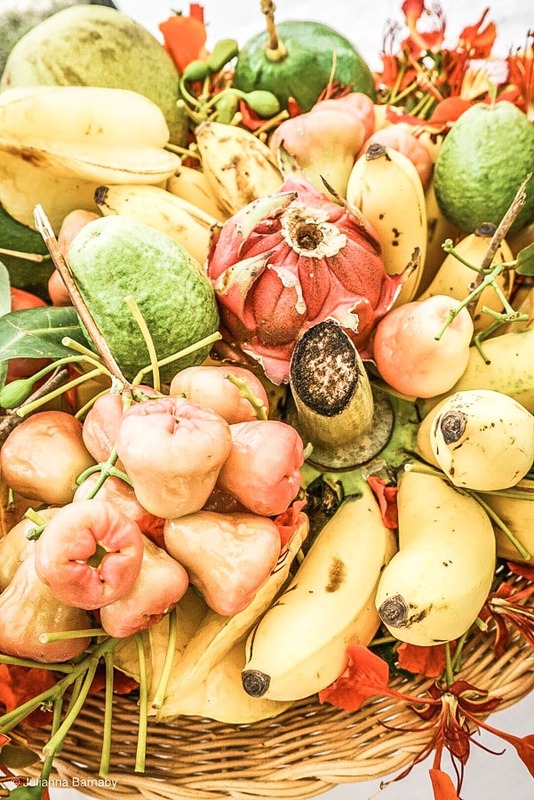 Nevis holds its annual Mango & Food Festival each July, during the peak of the mango season. It just so happens that is when I visited the island… I’ll leave you to decide whether that was a coincidence or not. Hint: it wasn’t. If you can time your visit to coincide with the festival, do it. 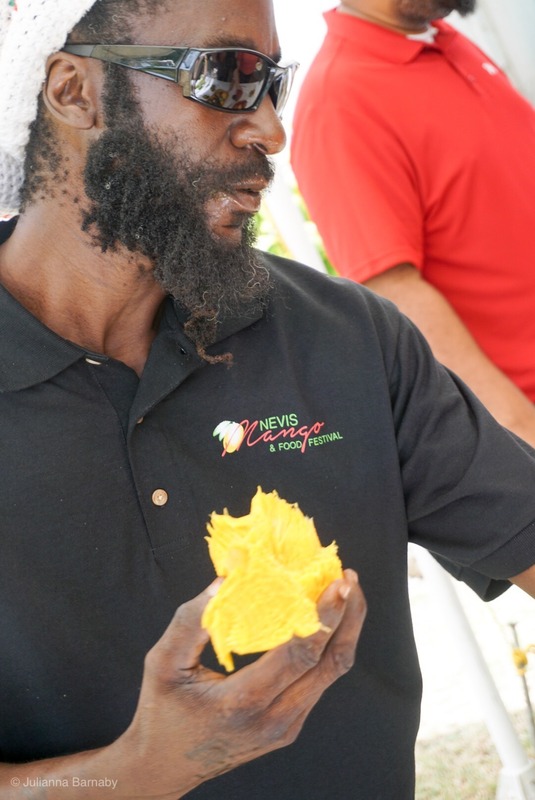 But what exactly is Nevis’s Mango & Food Festival? 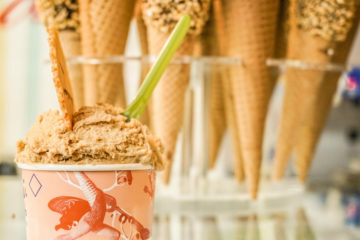 A series of culinary masterclasses, cooking competitions, hosted dinners and events to showcase the island’s fresh produce and culinary heritage. Local and international chefs come together for the festival to create what can only be described as a foodie heaven. 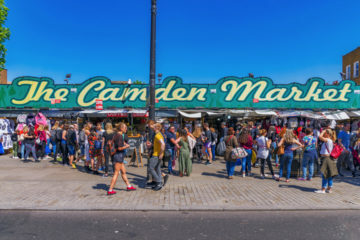 Wonderful as it is to indulge your palate (and stomach) by feasting to your heart’s content, it’s the stories and interaction that really make the festival stand out. it’s not that often that you get the opportunity to interact with the chefs who’ve created it or the producers who have grown it. Who doesn’t want to pick up a few tips and tricks from the masters of the game? Mangoes are one of Nevis’s many bounties. During mango season, you can barely move a metre without coming across a tree weighed down by its own produce. Local agricultural expert and self-confessed mango infatuate, Banky King, talked us through the different mango varieties – their flavours, textures, fragrances, sizes. I still dream about that day. There are many things to do in Nevis, but gorging on mango under the cool shade of a tree is one of the island’s simplest but truest pleasures. Maintained as a reminder of Nevis’s past, the Nevisian Heritage Village is an interesting glimpse into the lives of the island’s inhabitants in days gone by. The Heritage Village is located in an old sugar cane estate. 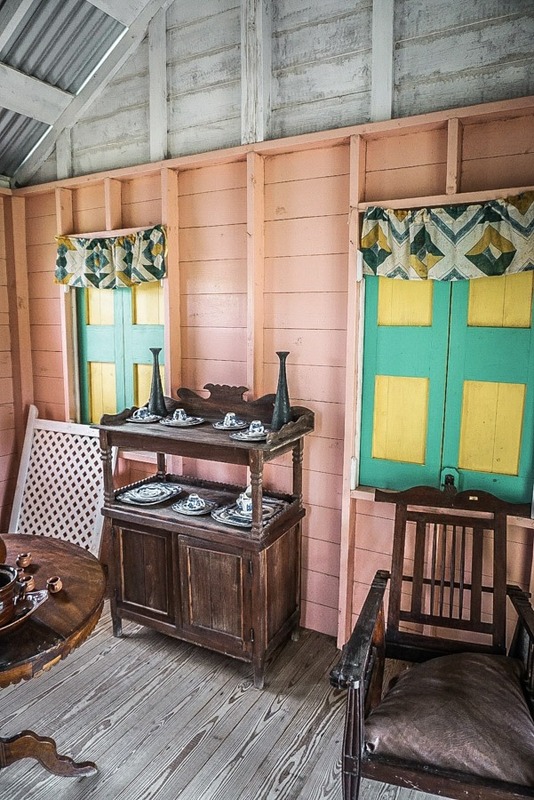 Remnants of the estate stand, but the real attraction is the series of huts and houses that represent Nevisian life at different points in history. From the open-air buildings of the original Carob inhabitants, to the small huts built by locals after their emancipation and the wooden structures that were still predominant on the island until the 1980s, the village tells the story of the island’s past so that it is not forgotten in the future. 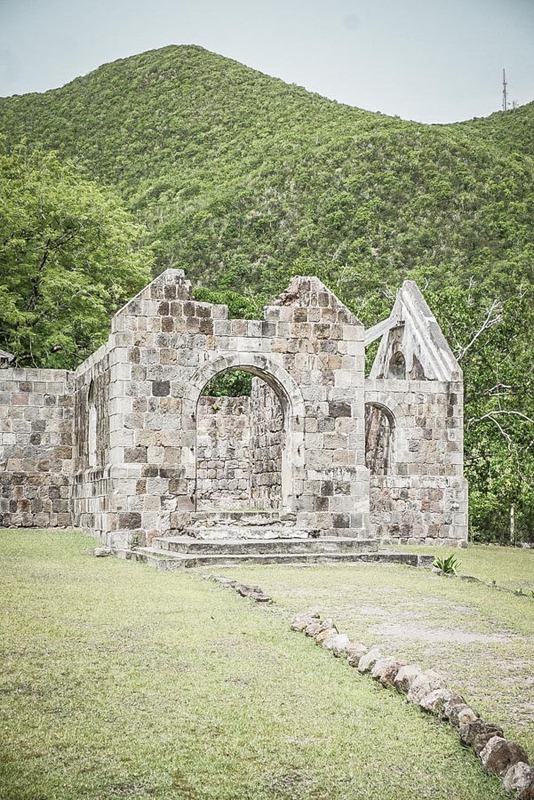 Tucked away down a narrow dirt track off of the main road, the ruins of Cottle Church are more important to the island’s history than they first appear. This small chapel, built in 1824, was actually the first place on the island where the slaves could worship alongside the plantation owner, Thomas Cottle. Recent restorations aimed not to restore the chapel to its original state, but to give visitors a sense of the building and preserve it for future generations. Now,I’ll fully acknowledge the tension between praising the good deeds of a plantation owner whilst acknowledging the fact that they still owned a plantation powered and funded by slave labour – but the importance of the chapel remains. Is there anything as lush and gorgeous as botanical gardens on a tropical island? 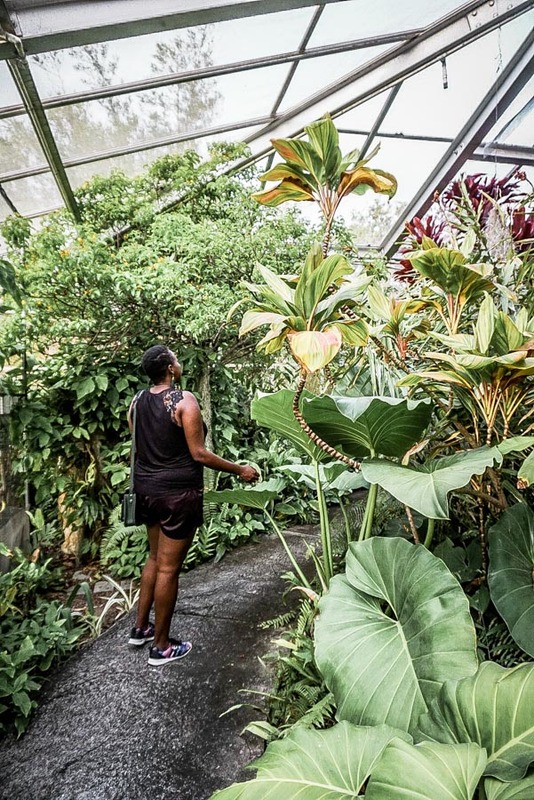 The vibrant Botanical Gardens of Nevis spread out in a glorious cacophony of tropical flora, foliage and colour. Visiting is certainly one of the more eye-catching things to do in Nevis. Make sure you peek into the rainforest conservatory too. It comes complete with faux-ancient temple buildings, wonderfully rude parrots and all manner of (ahem) picture posing opportunities. 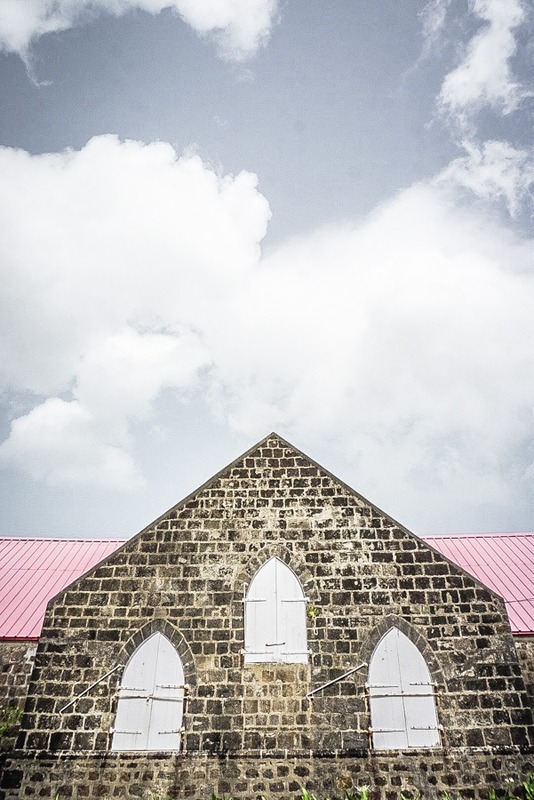 At 375 years old, the rather unassuming St Thomas’ Anglican Church is the oldest church in the Caribbean. Time your visit right and take a look inside at the informative exhibition about the church’s history as well as the rise and fall of colonialism on the island. I learnt more about the history of the slave trade in the Caribbean during the ten minutes I spent in this church than I did studying history in the U.K up to A-Level. Worth a trip. 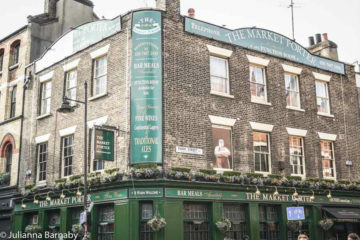 This small and quirky museum is dedicated to the famous British Naval officer, Horatio Nelson. Nelson’s story is bound up with that of Nevis, He was stationed on the island in the late 18th century, fell in love with local beauty Fanny Nisbet, whom he married on the island (at Montpelier Plantation) in 1787. The museum retells the story of their relationship, of Nelson’s time in the island, his naval successes and failures, and ultimately, his death. Not so cheery but pretty interesting. 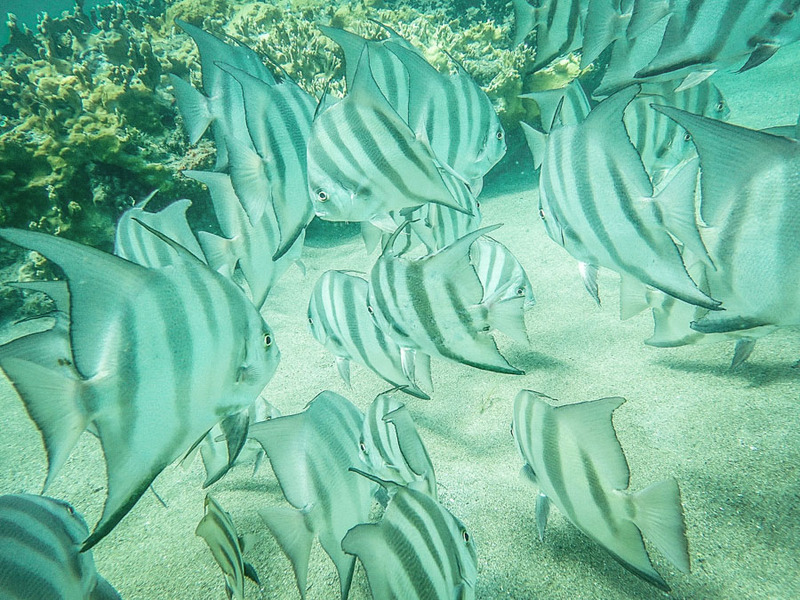 At times, the sea surrounding Nevis is so still that it looks like glass, so much so that no trip to the island is complete without donning your gear and exploring what lies beneath the surface. There’s plenty to entertain both snorkelers and divers, but the snorkelling is so good that diving can feel like an unnecessary complication. As a klutz who’s still figuring out how to make the most of my GoPro, I can’t take the credit for these images. They were kindly shared with permission for me to use them by one of the guests at Paradise Beach, Virginia Barnes – thank you Ginny! Hope the San Diego summer is treating you well. So you’ve learnt about the history, you’ve eaten (alll) the food, you’ve spent some time on the beach wondering whether you have the energy to scale Nevis Peak… it’s exhausting work right? Cocktails on Nevis mean one thing: Killer Bees at Sunshine’s Beach Bar. When a cocktail is so good that you hear all about it before you’ve even stepped foot on the island (the lady I sat next to on the plane was raving about it), it would just be rude not to try it. Firstly *puts on responsible adult hat and a stern face* I should warn you that the Killer Bees live up to their name. They are boozy, boozy, boozy drink too many of them and you’ll certainly feel their sting the next day. I tell you this because they are delicious. You will want to drink them all. But you might just anyway. 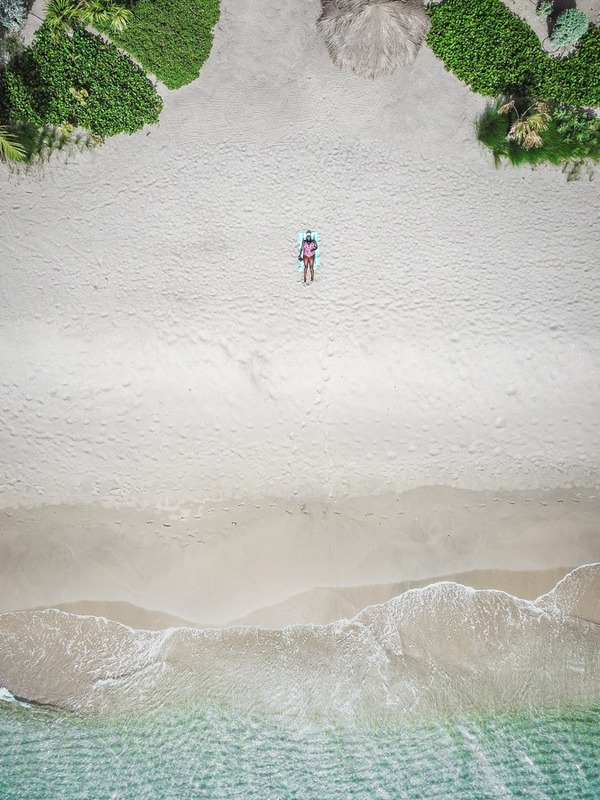 Now, much as I’m all up for exploring any destination, it would be straight up crazy to come to the Caribbean and not spend some time on the beach. Perched on a gorgeous sandy beach, Paradise Beach is the go-to Nevis travel destination for those looking for a high-end stay complemented by space and privacy. 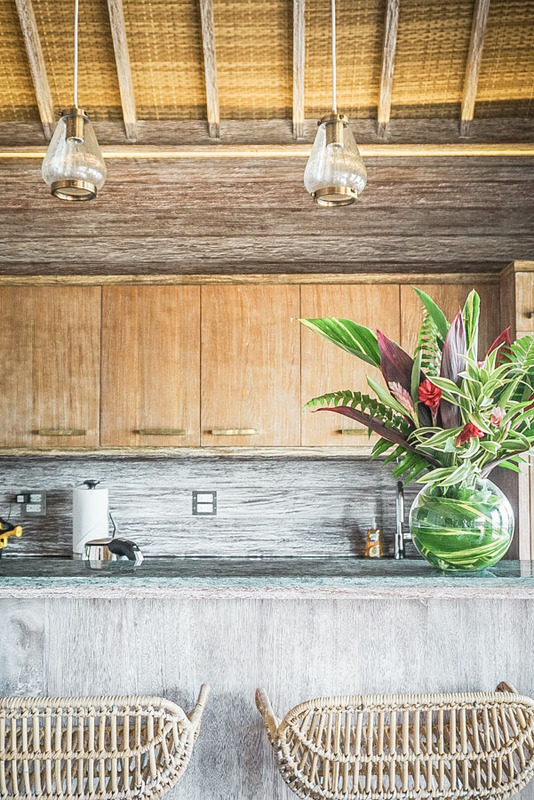 Guests can take their pick from the 2, 3 or 4-bedroom villas or the newly-opened two-bedroom beachfront villas… Here, you can take a sneak peek at mine. If I had to choose two words to describe Paradise Beach, they would be “secluded luxury”. These two words go to the very heart of what the resort is about. 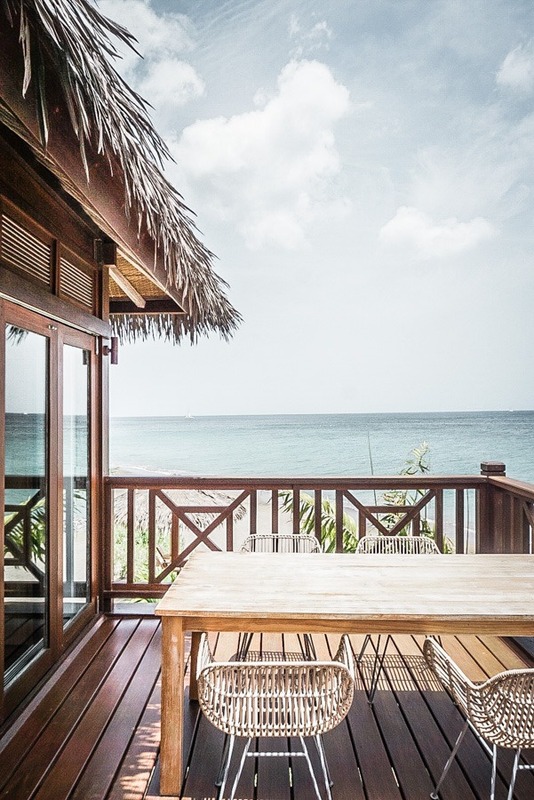 High-end furnishings and finishes, perfectly-maintained gardens blooming with tropical plants and, of course, that white sand beach. Everything at Paradise Beach is all about the experience. I created a daily ritual: waking up, opening the doors to my villa’s private terrace and soaking up the views of the calm Caribbean sea – a view framed by palm trees and golden sands – one that I’ve sorely missed since leaving. Days at Paradise Beach took on a rhythm of their own. Quick dips in my private plunge pool, taking a few steps to go swimming in the ocean before drying off in the sun, rum punch in hand – lobster barbecues on the beach at night with the other guests. It’s exactly what you think of when you imagine a luxury escape to the Caribbean but so rarely what you actually find. Relaxed but upscale chic – Montpelier Plantation is like the estate of a (very well to do) friend – complete with the warm hospitality and friendly welcome. 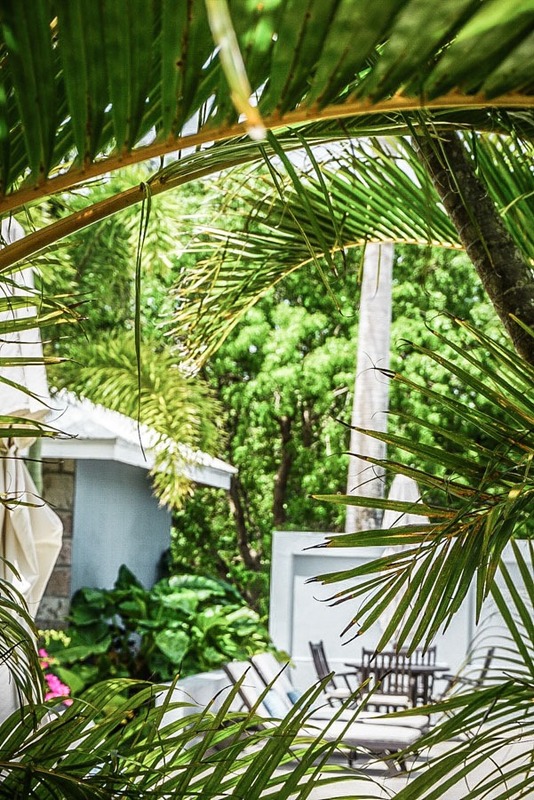 An old sugar plantation that has been transformed into one of the island’s best-loved boutique hotels, it’s perhaps best known as one of the Caribbean boltholes beloved by the late Princess Diana. Decades later, you can see why. Montpelier is friendly, it’s comfortable, but it’s also absolutely excellent at what it does: offering guests a luxury stay with personality. Montpelier’s 19 rooms are spread out across 26 acres of land – you’re certainly not lacking in space or privacy. Cocktail hour starts at 5pm, when guests gather in the Great Room for a pre-dinner tipple before heading into one of the hotel’s two main restaurants – Restaurant 750 or Indigo Restaurant. You can even nab the opportunity to have a private meal in the old mill. Nevis is a small island in the Leeward chain in the Caribbean. Nevis doesn’t have its own commercial airport, so you will need to fly to the neighbouring island of St Kitts and take a water taxi from there. The water taxi takes around 7 minutes. There isn’t a best time to travel to Nevis per se. High season runs from December to mid-April – the weather is great but the prices are high. Low season generally correlates with hurricane season, the peak of which is mid-August to mid-October. So there we are: the best things to do in Nevis. I hope you have a fabulous time on the island. I pretty much guarantee that you won’t ever want to leave. I was kindly hosted by the Nevis Tourism Authority for my trip to Nevis. As ever, all opinions are my own. Nevis looks gorgeous and I love the history! I had not heard of this Caribbean island until now, but it looks really nice and unspoilt like some of the other islands. Looking forward to visiting sometime in the future. I am ashamed to say that I have never heard of Nevis. But I absolutely love your post. Your pictures are amazing! It looks like a paradise. I am adding this island to our family’s bucket list! We much prefer less known places. Thanks for sharing this! Thanks Bea! I’m really glad that it’s helped you find somewhere new. It’s such a cool island and I couldn’t recommend it enough! I am embarrassed to say that I haven’t heard about this island. 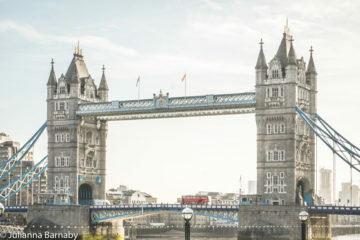 It looks gorgeous in your pictures and makes me want to start planning my trip. May I ask you, did you feel completely safe there? It is gorgeous and yes, I felt safe there, as with most of the Caribbean. Nevis doesn’t have the nightlife other island in the Caribbean have. It’s quiet and laid back. However, after a relaxing day on the beach there are plenty of great restaurants. You won’t be disappointed with a meal but a taxi ride is $20 USD everywhere you go. And $20 back to your hotel. Still much less than an Uber in Washington DC or NYC. The island people are courteous and friendly. Did you know Nevis has one of the highest literacy rates of any island in the Caribbean. I like Golden Rock and Sunshines for lunch. Reservations for almost every restaurant. I like the Hermitage Wednesday night pig roast or Bananas for dinner. Stop in for a drink and dinner one night at Montpelier. The Gin Trap – best ribs ever! The Yachtsman Restaurant – great wine list and cigars. I heard there’s a new place, Los Locos, I can’t wait to try. If you’re a golfer The Four Seasons has an incredible course. There are two must see places in Charlestown, the Hamilton Museum and the Charlestown Gallery. Do I sound like a tourist guide? No I’m not but we just happen to love it there and we’ll be going back soon. Thanks for sharing your tips Terry – glad to see that you love Nevis as much as I do. It’s such a cool island – can totally see why you’re heading back soon.